Do your students sometimes race through their work like mine TRY to do? I wrote the word TRY because I make a point to explain to kids in my writing classes that good writing, really good quality work of all kinds takes time…EXTRA time…that is to say EXTRA from a child’s perspective. The need to instill this reality in children, beginning at a very young age, can place enormous pressure on kids (as well as teachers), as we all face growing challenges in the classroom. ADD EXTRA DETAILS – Send students back with their first drafts of non-fiction writing with a request that they do a little EXTRA research about their subject and add in EXTRA details to support and elaborate around the focus of their writing. Post a Bulletin Board with the header, Extra, Extra, Read All About It! Write subjects your class will be studying on individual cards and post them on the bulletin board. For example, you could write Planets or Weather as Science subjects and Multiplication as a Math subject. Invite students to choose a card and borrow more than one book about that subject to read during the term. Request a written summary of each book. Consider offering EXTRA credit for EXTRA reading. Challenging students to explore a subject in more than surface detail sends an important message…EXTRA work gets EXTRA attention! Make a Mission Possible Extra Credit Assignment Box or Grab Bag. fairly easy, yellow for moderately difficult, and green for difficult. Drop the envelopes into a box, like you see in my blog pic here, or into a bag. Invite students to take an envelope, accept “the mission” and get the work done. 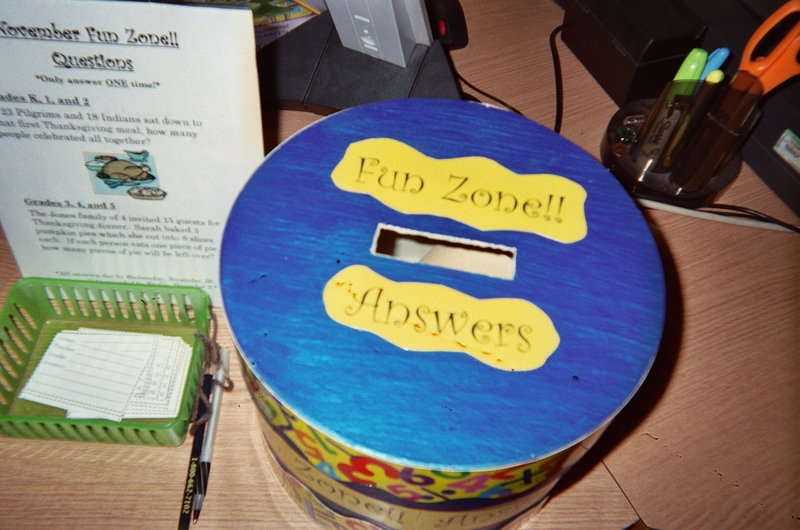 NOTE: This blog pic shows a box titled Fun Zone Answers because the teacher that made this box decided to challenge her fifth grade class to figure out the questions that match the answers they picked…another attention-getter for EXTRA class work. to remind kids that you need to see them using energy to get good work done in school. 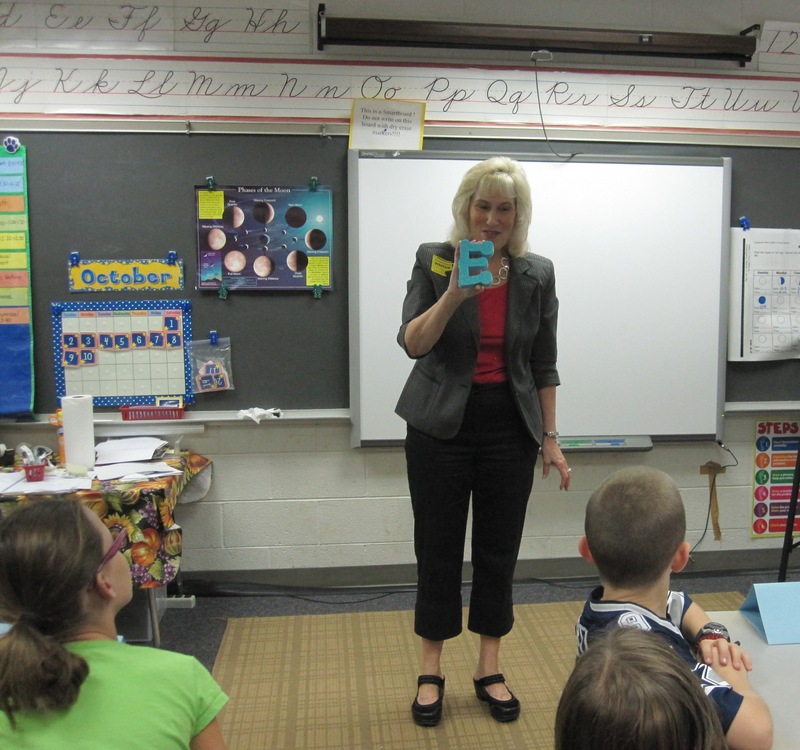 Hold up a giant letter E, like you see me doing in my blog pic here, and tell the class that The Big E stands for more than Energy; it’s also The Big E for EXTRA EFFORT! I love attentionology tools with multiple uses; don’t you! WHO’S GETTING AN EXTRA EFFORT AWARD? – A local television station offers a weekly Extra Effort Award to a high school senior in the viewing area that holds an exemplary record in sports and academics. Consider offering an Extra Effort Award to a deserving student at a designated time such as the end of a school term or before a holiday break. Focus some extra attention on UNIVERSAL CHILDREN’S DAY – NOVEMBER 20 – According to event promoter, Association for Childhood Education International™ (ACEI), Universal Children’s Day is observed as a day of activity devoted to promoting ideals and objectives related to the welfare of all children of the world. Sponsored by the United Nations International Children’s Emergency Fund (UNICEF), this year’s campaign is Love Me, Teach Me. 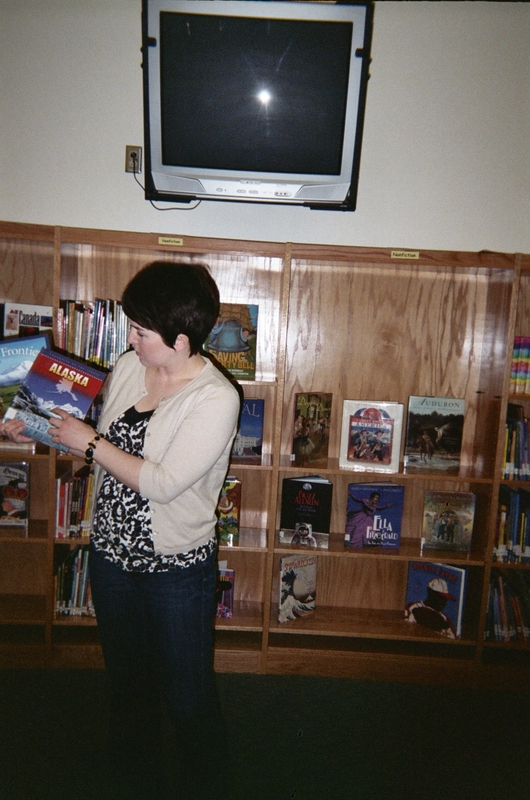 Google UNICEF or ACEI to find ways that you and your class can participate in a global conversation about children. 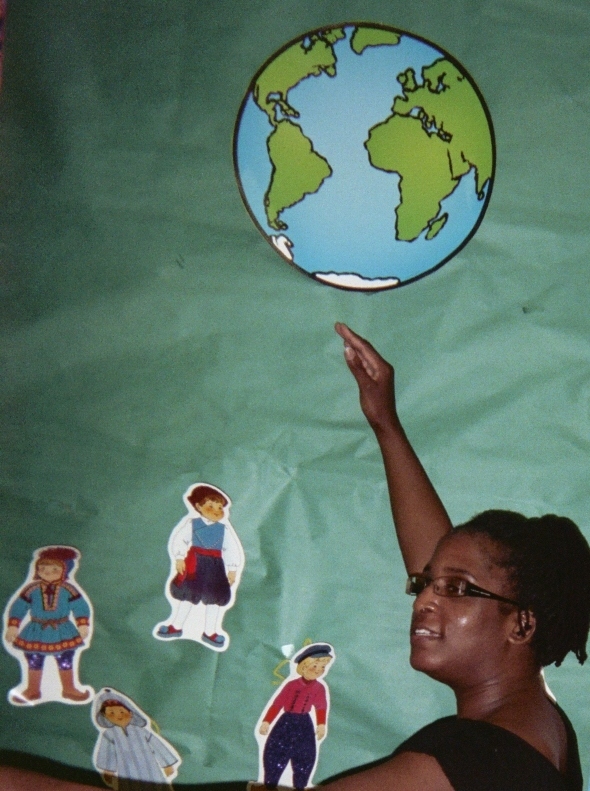 Children around the world benefit from love and education! 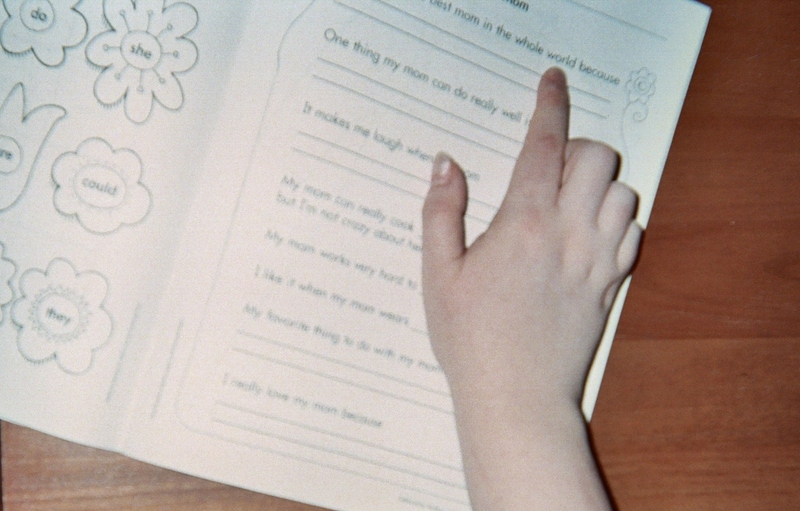 Join UNICEF’s Love Me, Teach Me campaign.